It’s thought that a high-touch approach to customer success does not scale. There aren’t enough hours in the day to personally oversee 10,000 users. Even if there were enough hours in the day, there aren’t enough of us to do it and still be profitable. Even if there were enough of us, there’d be no way to keep track of it all effectively. Zapier, a SaaS middleman for app integration, thinks differently. The idea is simple: connect your SaaS app to Zapier, and Zapier will connect it to over 1,000 apps. The formula is one programmers will be intimately familiar with since it’s basically an if/then statement. For example: if a user submits a Zendesk ticket, then post the ticket to a Slack channel. Apps can create actions and triggers, controlling each other and automating frustrating admin work behind the scenes so you don’t have to bother with it. A great thing about Zapier is that it affords us a huge choice when it comes to picking the ideal SaaS apps for customer success. Before Zapier, it was a problem choosing between two similar apps with exclusive functionality. But now you can link the two (or way more) together and create a superapp, if you will. Find out more about workflow automation and access 50 ways to slot Process Street into your workflow using our Zapier integration. If you’re looking for inspiration on the kinds of processes you use out at your company, we’ve put together a list of client onboarding checklists available here. 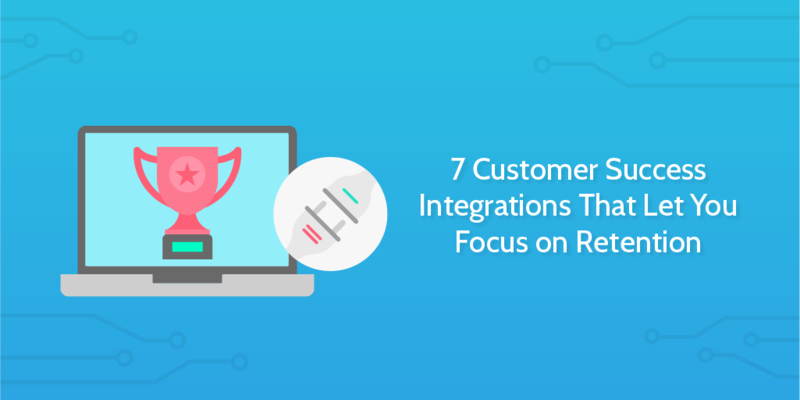 The overwhelming amount of app activity and conversations customer success teams have to cope with, especially in larger companies, can be cut significantly with automation and by using one app-to-rule-them-all as a trigger for the rest. 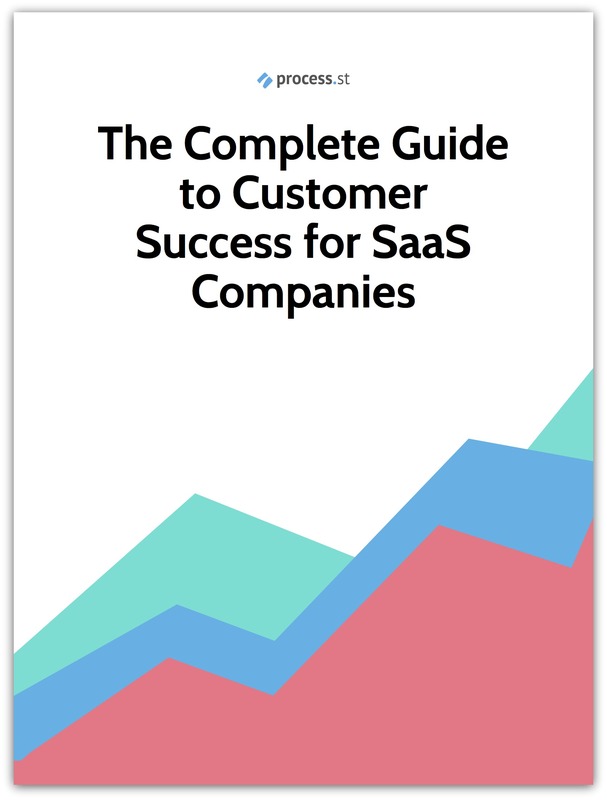 By being able to take more time on each customer, your customer success team can scale, increase retention, and make users happier. Here are some cool ideas you should try to save time and streamline your customer success process. This zap has huge potential as a way to follow-up with users who left feedback. If you get your NPS from Wufoo, all responses will show up in Help Scout alongside the results the user entered in Wufoo, giving you an easy way to talk to anyone unhappy with your service. You could do the same by getting the data out of Wufoo, manually entering email addresses and then scrambling to keep track of your responses… but it doesn’t scale. If all goes well, you’ll have more users than you know how to manage. For customer success teams looking to boost customer happiness, this zap is a great preventative. A task is checked off in Process Street (maybe to mark the end of the sales process, or start of a free trial). By combining Process Street and Intercom you can also trigger comprehensive onboarding checklists each time a user signs up. Great for complex SaaS products and high touch onboarding, Process Street checklists will make sure you never miss an event that could lead your user towards a life-changing Aha! Moment. This works by making your team accountable to certain tasks and allowing you to track overall progress from the main dashboard, and inside Yammer. Slack is an amazing notification hub and the perfect candidate as the basis of one of those cool-sounding superapps I mentioned earlier. At Process Street we have channels fed by activity from different places on the internet, including a channel for Process Street mentions on Twitter and one fed by Intercom that displays all automated emails sent from Process Street to our lovely users. By integrating Slack with Zendesk you can create an event feed as a Slack channel and set it up to notify the right people when it happens. This makes Slack a one-stop app to check way more activity than just private messages. The way this zap saves time and helps Customer Success teams is by keeping everything in one place. There’s no need to open 10 different tabs in the morning to get a picture of the overnight events — if you set it up right, everything will be visible at a glance on Slack and easy to flick through with the Quick Switcher (Ctrl+K). As if Promoter.io didn’t offer enough features, you can supercharge your feedback gathering efforts with Zapier and Intercom to add individual NPS to customer profiles on Intercom. This data could be used to better understand customer activity and work out what exactly your promoters do with your app that gives them so much success and why your passives and detractors are failing. Running customer success is a lot about scheduling times to talk to customers, giving demos, and teaching users about your software to help them get the best results. This means that customer success teams often have a lot of dates, times, people and places to remember. The power of Google Calendar is obvious — from inside the app you can invite your team to join you at events, share information and timetable your customer interactions to avoid clashing. The most convenient part is that it all syncs to your phone that can take feeds from multiple calendars. Here you can see my very own genius creation, the Onboard-o-Matic 5000, reporting onboarding activity like its life depended on it. For app integrations that trigger Process Street checklist creation, remember that it can be a checklist from any template you choose. For example, Totango could trigger a customer success checklist containing the standard operating procedure for onboarding new users. If you haven’t got a Process Street account yet, I’d really recommend it. Not just because I work here but because I use it in my everyday life for work and personal processes.